Crispy curly kale, melted coconut oil, and just the right amount of seasonings make the Perfect Crispy Kale Chip Recipe. Tips, tricks, + best practices included! I take back all the mean things I ever said about you. Over the years, I may have used words like “difficult,” “bitter,” “high maintenance,” and “unreliable.” But I stand before you during this week of thanksgiving to say I was wrong, wrong, I tell you. Kale, you are delightful and delicious and healthy and wonderful. I just never knew HOW to bring out the best in you, but now I do. If you find this letter to kale could also house your signature, keep reading. Because remember when I said I had trouble making a crispy kale chip and went for cauliflower chips instead? Well, I went back into the kitchen to discover the secret to Perfect Crispy Kale Chips. And, Spiriteds, I’ve found it. If kale hasn’t always been your thing, then I encourage you to try it again. Because with the right amount of coconut oil, salts, and turmeric, baked kale is a treasure trove of flavor and flair. Perfect Crispy Kale Chips are sit-on-the-couch-and-binge-watch-Murdoch-Mysteries good. They’re eat-healthy-before-the-onslaught-of-holiday-foods good. Also, where-do-I-find-more-calcium-and-B-vitamins good. This recipe is wow-I-haven’t-eaten-a-vegetable-in-two-weeks good. Kale has the potential to bring out the best in everyone, and it’s a recipe I wish I had had a few years ago when we transitioned to a paleo diet. It’s healthy but tastes like a guilty pleasure. What are the secrets to making The Perfect Crispy Kale Chip Recipe? Remove any excess water after rinsing by patting with a napkin or paper towel, if necessary. Line a baking sheet (not a cake pan) with parchment paper. Add the seasonings first to the melted coconut oil for an even flavor and then briskly stir the seasoned coconut oil into the kale pieces to prevent the oil from clumping (I use a fork). Bake one baking sheet at a time, rotating the baking sheet approximately halfway through baking time for an even texture and flavor. Curly kale is our favorite variety to use, however we have had success with baby kale, too. Although baby kale looks and crisps differently than curly kale, the overall taste was comparable. We did choose to bake the baby kale a little longer to ensure it met our “crispy” expectations. A night in with Murdoch Mysteries demands nothing but the best. The only beef K-Hubs and I had with this recipe was we wanted MORE. We can’t even keep up with our own demands for crispy kale chips. Who knew going paleo and eating vegan from time to time could taste so good? Or that you could eat an snack or appetizer on a paleo diet that wouldn’t taste like tree bark? Who knew eating healthy could also taste mouth-wateringly good? Not us, apparently. Also, is “mouth-wateringly” a legitimate description? Probably not, at least according to spellcheck. However, according to Merriam-Webster, it is indeed. Regardless, “mouth-wateringly” happens to be the most apt description for this recipe in the history of words, real or contrived. Merriam-Webster says it’s legit, so we will use it, Spiriteds, because we know what we mean. The Perfect Crispy Kale Chip Recipe is “mouth-wateringly” good. 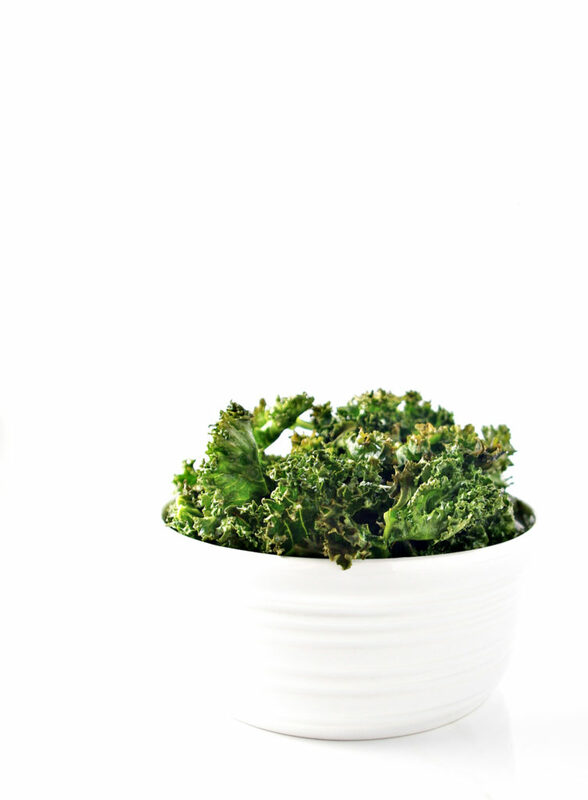 Thanks to Perfect Crispy Kale Chips, we now have a new reason to eat well. There will be an onslaught of foods and people this holiday season. But, this is one snack to keep you balanced, nutrionally (also apparently not a word, but still apt) and emotionally. Make up words, eat your kale, binge-watch your shows, and settle in for the holidays because they are upon us. And these Perfect Crispy Kale Chips are a little reminder to steal a few tasty moments for ourselves. Set oven to 395 degrees. Rinse kale and break into small pieces. 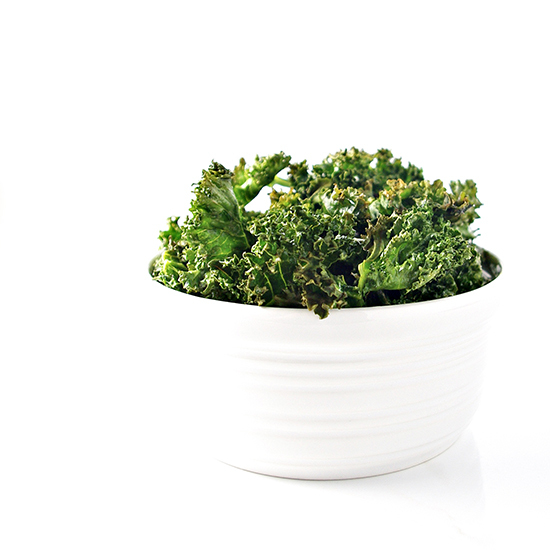 Remove excess water from kale using a paper towel or napkin, if necessary. Pour kale pieces into a large mixing bowl. In separate dish, combine coconut oil, seasonings, and salt. Stir well. 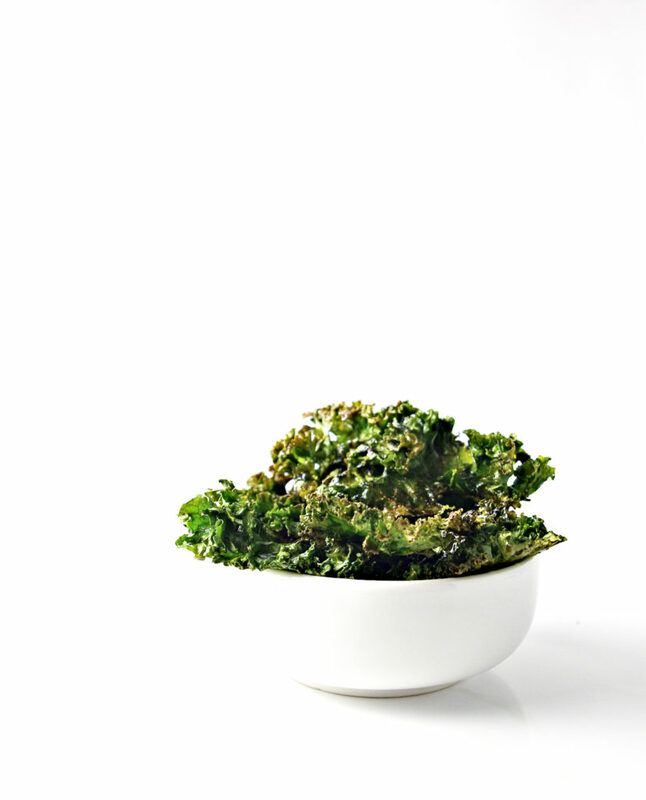 Pour coconut oil over kale chip pieces and stir with a fork until kale is evenly coated. Line baking sheet(s) with parchment, and then lay pieces of kale on the parchment, one by one, making sure not to overlap kale pieces. Bake in over for approximately 7-10 minutes, turning baking sheet one time in the middle of baking time. (I usually do a 180-turn after about 4-5 minutes). 15 minutes of baking time assumes two batches baked at about 7 1/2 minutes each. For extra crispiness, you may need to bake each batch for about 10 minutes.